This application note illustrates the use of the Vapourtec R-Series system to run reactions under solvent free (neat) conditions. This expands on work previously carried out in Application note 4 where it was shown that by using the the Vapourtec R-series facility of placing four reactors in series the mass transfer of the reaction could be dramatically increased. 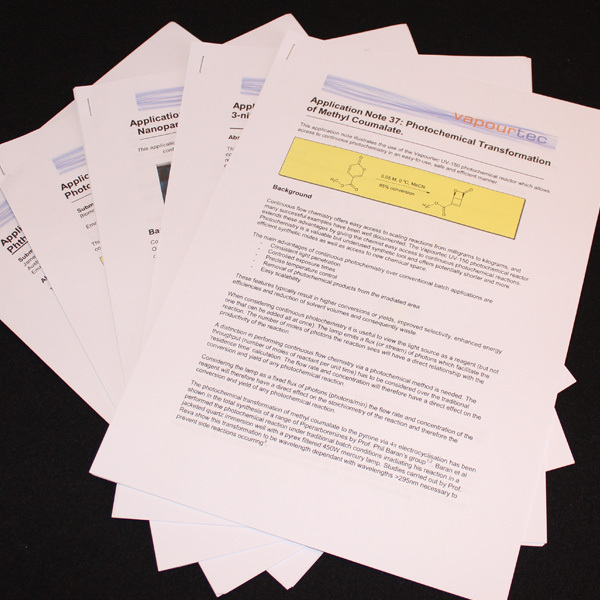 By taking this a step further and demonstrating the ability of running reactions of this type solvent free, this application note shows a game changing increase in the amount of material that can be generated.